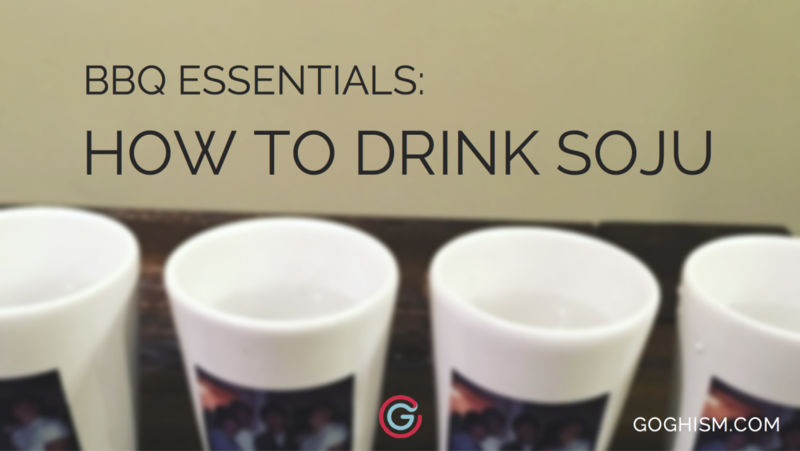 You might wonder why how to drink soju is so important to us, I mean, why not just drink it? In a study published by the World Health Organization in 2014 South Korea came in 17th for most alcohol consumed per capita. Breaking down the numbers further it turned out that of the 12.3 liters per person about 25% went to beer, 1.6% wine, 2.9% spirits, and a whopping 70.5% going to “other.” Out of the top 40 countries Belarus had the second highest percentage in the “other” category with a middling 30.9%. Needless to say, drinking is a big part of Korean culture, and if Koreans are drinking it’s most definitely soju. It’s not too much of a surprise when a bottle of soju in Korea is pretty much the same price as its healthier counterpart, water. Its affordability is one of the reasons why soju, particularly Jinro soju, is the most popularly sold liquor in the world and it’s not even close. Despite what the numbers might make you think, it’s not just all hard-partying wildness. Drinking soju is intertwined with Korean culture, and how to drink soju is an important part of being a member of the community. Most of what I know came from a night spent drinking soju with my father-in-law, the night would have been considerably more daunting if we had been drinking water. One of the many mic drops of the night was when he told me that knowing how to drink soju is one of the most important aspects of being a Korean man. I don’t know if he was letting loose some underlying critiques of my tolerance or praising my pouring skills, but it’s true. Korean drinking culture is much more thoughtful and deeper than just swigging from the bottle – it has a set of rules that are deeply rooted in a culture with great emphasis on respect. Certain missteps can be seen as disrespectful and downright offensive, especially when drinking with older or more senior people (practically all of the rules are dependent on age). Receiving the drink – The older or most senior person will generally pour the first shot. Hold the shot glass with two hands when receiving drinks. If you are older feel free to use one hand when someone hands you a shot. Pour the drink – No one should pour their own shot. Pour with two hands, especially to an older or more senior person. Shoot the first shot – Turn your head to the side away from others and shoot the shot while holding the glass with two hands. The two hands is more a sign of respect while the turning of the head is more to avoid flashing your teeth which can be seen as disrespect. Fill empty glasses – Ask the person if he or she would like to have another drink. Pour the drink with two hands, and if your glass is empty, he or she will offer to fill yours afterwards. 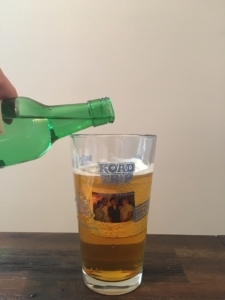 Traditionally, one does not pour his or her own glass. Togetherness – Much like how someone should not be pouring their own shots it follows that nobody should be drinking alone. I haven’t seen this to be taken more as a sign of disrespect but more a chance to show solidarity. Taking shots with another builds a connection and a sense of companionship (at least that’s the hope), don’t let your friend take one alone and don’t deny him or her the chance to be a good friend to you. Although the rules are dependent on the social context, they are pretty straightforward and can only take your soju experience to the next level. It’s also a cool way to impress your parents-in-law, boss, or even a stranger without really having to talk. Soju’s relatively low alcohol content makes it a perfect vehicle for a prolonged night of drinking games – you won’t get full from it like beer and you won’t get hammered as quickly like vodka. There are countless Korean drinking games out there and our list doesn’t come close to touching even a percentage of the number of ways to enjoy soju with friends. Keeping that in mind, here is a list of some the most popular, including some of our favorites. “Flick the Cap” is the most popular and simple soju drinking game because all you need is a bottle of soju with the cap intact. The goal is to flick the end piece of the cap. 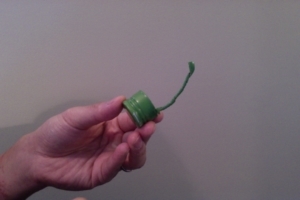 To set this up, twist off the cap and find the end piece of the seal. You can either twist the end piece to make it more compact (make sure it doesn’t rip off the cap) or keep it the way it is. Then, each person takes turns flicking the end piece with the last person to flick it before flying off being the winner. Everyone else must drink. Titanic is a perfect game to play while waiting for your Korean BBQ. The goal of Titanic is simple – do not sink the shot glass. However, strategy is key! To set up, fill a glass about halfway with beer and then carefully set the shot glass in it so that it floats. Then go around the table with each person pouring as much or as little soju into the floating shot glass without letting it sink. The person who sinks the shot glass must finish the glass full of beer and soju (ideally in one go), this mixture is also known as somek (쏘맥). A great icebreaker, Image Game is a game of impressions and superlatives. Someone starts by throwing out a superlative relevant to rest of the group. 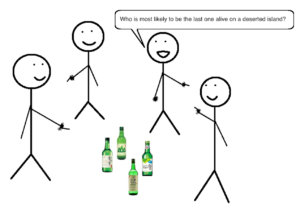 For example, “who is most likely to drink the most soju tonight?” At the count of 3, each person will point at who he or she thinks would drink the most soju. The person with the most fingers pointed at him or her has to drink. Who is most likely to be the last one alive on a deserted island? To make it more challenging, you can also block by forming an X with their arms instead of pointing to someone. If you received the most ‘points’ everyone that selected you needs to drink. If you do not receive the most ‘points’ you automatically need to drink. To say someone has “noonchi” means that a person is quick to pick up on social cues and generally knows how to read a room, basically noonchi is social awareness. You can think of the Noonchi game like “jinx” on steroids…. with alcohol. It’s a counting game that tests your ability to scope out the vibes around you, and it’s also a game that allows you to change the current tone and atmosphere. Let’s say, for example, you and your buddies are out drinking and you notice the mood of the conversation has gone sour. You can steer the group completely off topic by hollering, “noonchi game, 1!”. This is when the game officially starts, and the folks around you have to declare the subsequent numbers one by one without colliding. 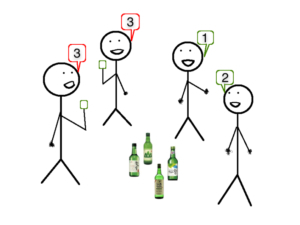 If the next number, “2”, is shouted out by more than one person, those perpetrators must atone for their crime and drink a shot together. There is a possibility that your group has impeccable noonchi and is able to say each number in sequential order without saying any in unison. That means whoever is the person to say the final number in your group (e.g., a group of five people means the final number would be “5”) is the shot taker. This game can happen at any time, so be on your toes! Baskin Robbins 31 doesn’t involve any ice cream but is another fast-paced counting game that can quickly move your night along. To get the game started, someone starts by saying “Baskin Robbins 31” and counts sequentially starting from one and up to three. Each person then goes around in order counting up at least one number but a maximum of three. For example, if the game starts with someone saying “1, 2, 3”, then the next person can say just “4”, or “4, 5”, or even “4,5,6” – it’s up to that person to decide how many numbers (up to the next 3 digits) they want to say. The person that ends up on 31 loses and takes a drink. Time Requirement: depends on the size and make up of the group, but definitely on the longer side (5 – 10 minutes). Mafia is a game of deceit and persuasion and one of my all-time favorites. However, it requires several rounds and a large number of people to play, so it’s not really drinking-friendly. So what did we do? We simplified it of course to make it into a drinking game. 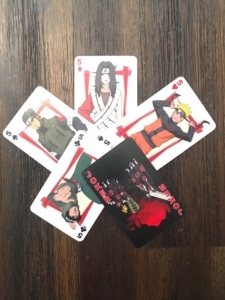 To set it up, there should be an equal number of cards to the number of people playing with one of the cards designated as the “mafia.” Everyone receives a random card and should not reveal his or her card to the other players. Instead, players should start defending themselves or start accusing others of being the mafia (e.g. he had a weird looking grin when he picked up the card). The game ends when majority singles out a player as the Mafia. If the majority is wrong, then the mafia prevails and everyone else drinks. 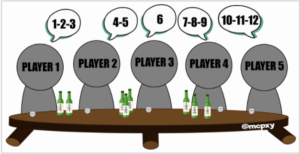 We are working to beef up this post with a more in depth dive in Korean drinking culture, more comprehensive instructions as to how to drink soju, and of course as many drinking games as we can responsibly participate in. If you have any personal favorites or are curious about Korean drinking culture in general let us know! Soju extends beyond just a drink. It helps establish a unique connection with relatives, friends, and even strangers. It allows us to communicate in ways that that can be enjoyable regardless of language or culture differences. Most importantly, it represents a communal opportunity to enjoy the presence of each other’s company that can be expressed through pouring each other drinks or even a night full of drinking games. Personally, there are few things better than to be surrounded by family and friends while enjoying a nice meal and sharing rounds of soju. It’s definitely the one tradition that my close friends and I never skip out on when we travel to see each other and definitely an inspiration behind the creation of Goghism.